Fullback who made his NFL debut in 2008 for the San Diego Chargers. He went undrafted after playing college football for Coastal Carolina University. In 2013, as a member of the Carolina Panthers, he made the Pro Bowl, and was a first-team All-Pro selection. He married Shianette Tolbert during his career and, and they had their first child in 2011. 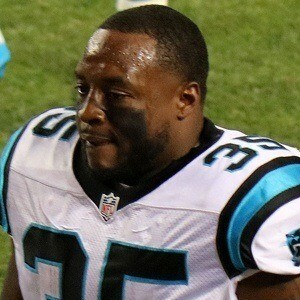 He made his first Pro Bowl while blocking for Panthers running back DeAngelo Williams.